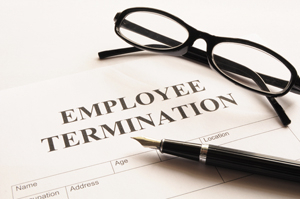 State and federal law prohibit an employer from terminating you for unlawful reasons. For example, if you were terminated because you are older, disabled, black, gay, pregnant, etc., your employer has broken the law. It is important to remember, however, that most employees are “at will”; that is, they can be fired without the employer having to state a reason. For example, it is not illegal for an employer to fire someone simply because they don’t like them (provided they don’t dislike because they are older, disabled, black, gay, pregnant, etc.!) Also, an employer cannot fire someone because she did not submit to his sexual advances. And an employer cannot fire someone because they asked to take leave pursuant to the Family Medical Leave Act, because they asked for a reasonable accommodation in connection with a disability, or because they “blew the whistle” about a questionable practice at the company. If you think you may have been wrongfully terminated, call us to have a confidential conversation to determine if you have a legitimate claim. If we end up filing a claim on your behalf, you will pay us only if your claim is successful.